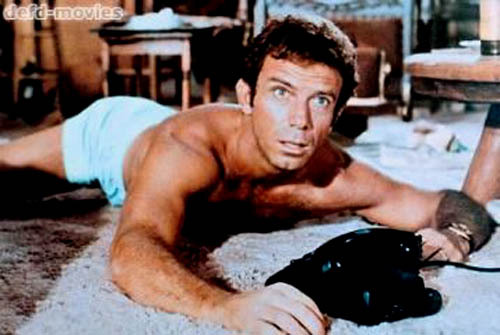 (Color) 110 min: Starring Jacqueline Bisset, Tony Franciosa, Michael Sarrazin, Bob Denver. On California's Malibu Beach in the late 1960s, young people are enjoying a life with few responsibilities and plenty of romantic opportunities. Denny McGuire (Michael Sarrazin) is a beach bum without ambition. His roommate Collie Ransom (Tony Franciosa) is a professional tennis player who hustles clients at a ritzy tennis club. Also living there is Choo-Choo Burns (Bob Denver), an off-the-wall jazz pianist. Denny is attracted to Vickie Cartwright (Jacqueline Bisset), a mostly-out-of-work actress, and would like to settle down with her, but she is more enamored with a series of meaningless sexual encounters with men she meets on the beach or during acting jobs. The film is played mostly for laughs but turns more serious with the brutal beating death of Vickie. Denny pulls himself together and decides to become a more responsible adult by taking a job at a hardware store. Sarrazin won a Golden Globe Award for his role and Bissett was nominated as Most Promising Female Newcomer.